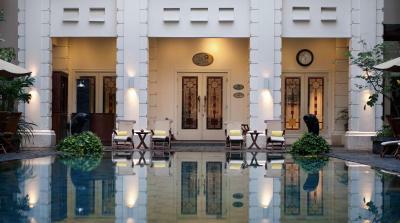 Lock in a great price for The Phoenix Hotel Yogyakarta - MGallery by Sofitel – rated 8.8 by recent guests! The hotel is small but very nice. You will feel you were transported back in time. Staff is very friendly and accommodating. 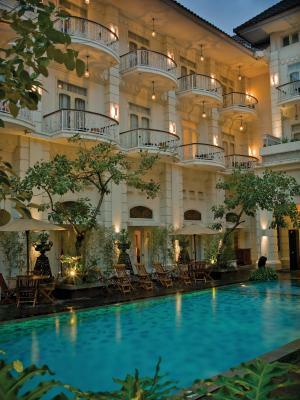 The combination of European and Indonesian tradition in architectural blend really nice. Hotel room size is good, very comfortable bed, breakfast is fantastic !!! 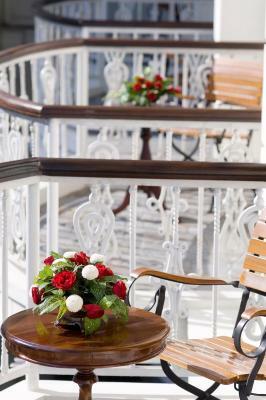 The staff were all friendly, with the old colonial building, it felt so different with other hotels we’ve been. Also the pool was superb! Definitely will choose this place again! I recommend the deluxe pool view room. It is large with great amenities and has a great view towards the pool. Try negotiating a closer room to the elevator/stairs, since there is only one elevator on one side of the building. Comfy huge beds and bedding. Breakfast was excellent!! They serve authentic local and international dishes as well as gluten free cakes/breads. Great staffs and well done for the amazing check in process. Cozy place,stuffs are very friendly nice bar to hang out and drink. The hotel was beautiful and the rooms were comfortable, clean and beautifully decorated. I also thought the cultural touches added to the experience. Great service and amazing pool. We were able to check out late and use the pool/sauna/shower area while we waited for our evening flight. 5 star for a reason! 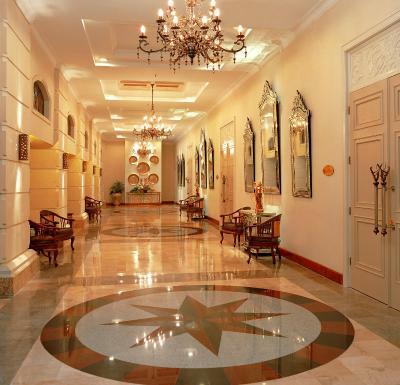 The Phoenix Hotel Yogyakarta - MGallery by Sofitel This rating is a reflection of how the property compares to the industry standard when it comes to price, facilities and services available. It's based on a self-evaluation by the property. Use this rating to help choose your stay! 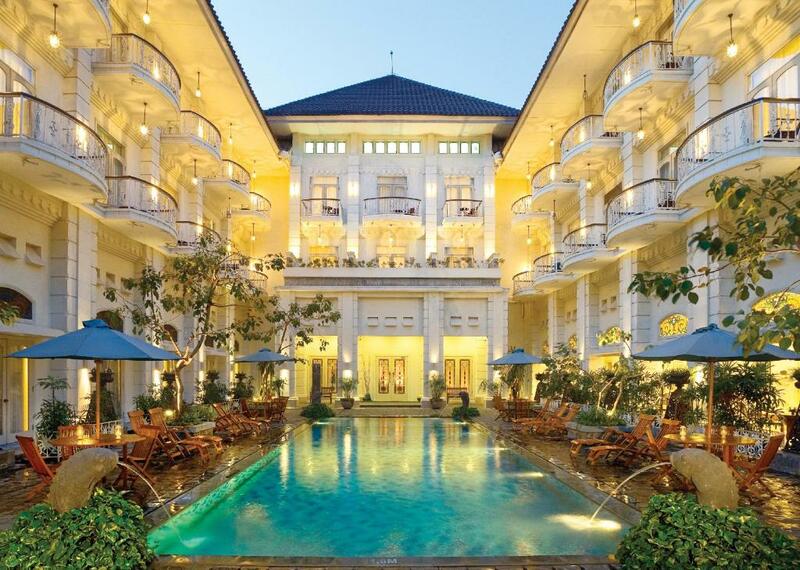 One of our top picks in Yogyakarta.Located in the heart of Yogyakarta, The Phenix Hotel Yogyakarta - MGallery Collection is luxury accommodations in a colonial landmark from 1918. 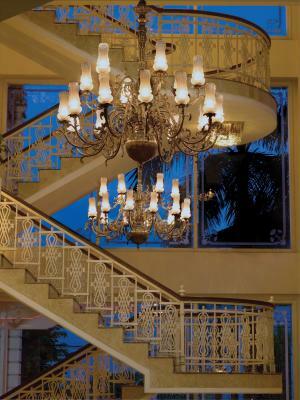 The 5-star hotel offers a spa, a fine-dining restaurant and spacious rooms with free WiFi. The outdoor pool is large and open all-year. 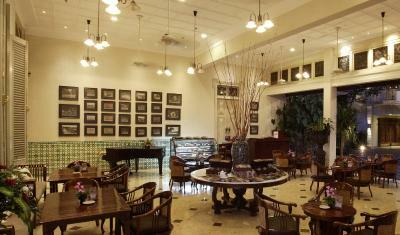 The Phenix Hotel Yogyakarta - MGallery by Sofitel offers a well-equipped fitness center. The hotel also provides car rental services and free parking on site. 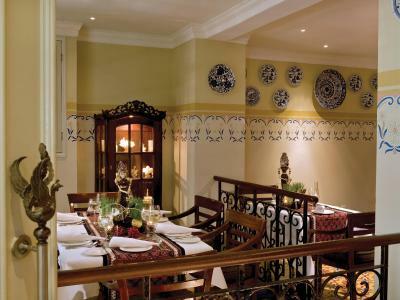 For a variety of fine meals, The Paprika Restaurant serves Indonesian, Western and Chinese cuisine in an open-courtyard setting. 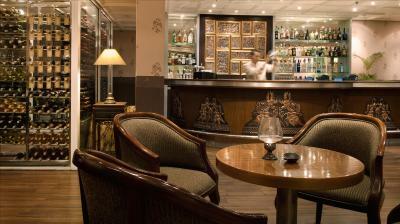 Cocktails and fine wines are served in the 1918s Lobby Bar. 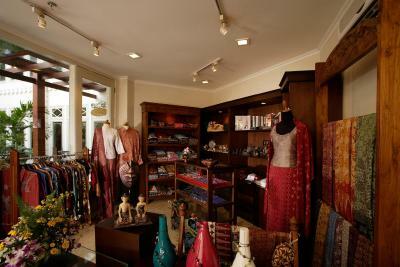 Popular points of interest near the hotel include Malioboro Street, Malioboro Mall and Fort Vredeburg. 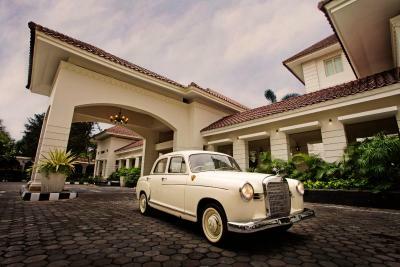 The Phenix Hotel Yogyakarta - MGallery Collection is a 5-minute drive from the Tugu Railway Station and a 20-minute drive from the Adisucipto International Airport. Borobudur and Prambanan temples are a 1-hour drive from the hotel. Jetis is a great choice for travelers interested in food shopping, shopping and temples. When would you like to stay at The Phoenix Hotel Yogyakarta - MGallery by Sofitel? 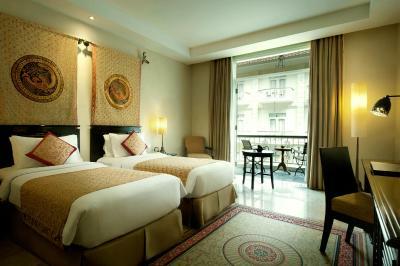 Enjoying fountain or city view from a private balcony, this luxury superior room comes with an LCD TV and air conditioning. Guests enjoy an en suite marble bathroom fitted with a walk-in rain shower. Slippers, bathrobes, and free toiletries are provided for your comfort. Daily turn-down service is available. Please note that extra bed cannot be accommodated in this room. 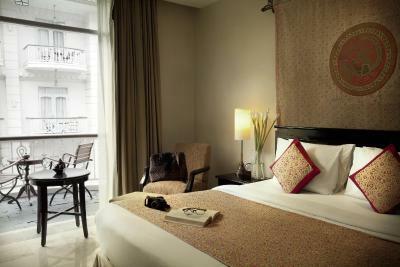 Offering city or pool views, rooms offer an LCD TV, balcony and private bathroom with rain shower. There is also a daily turn-down service. 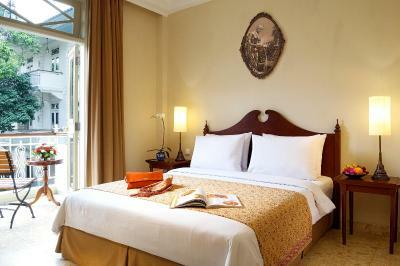 This spacious, air-conditioned room features a flat-screen TV and private balcony with views of the pool or garden. Each has a separate living room with a mini-bar, espresso machine, and a free fruit basket. Enjoying pool or city view from a private balcony, this luxury suite comes with an LCD TV and air conditioning. Guests enjoy an en suite marble bathroom fitted with a walk-in rain shower. Slippers, bathrobes, and free toiletries are provided for your comfort. Daily turn-down service is available. It has a separate living room with a mini-bar, an espresso machine, and a complimentary fruit basket. 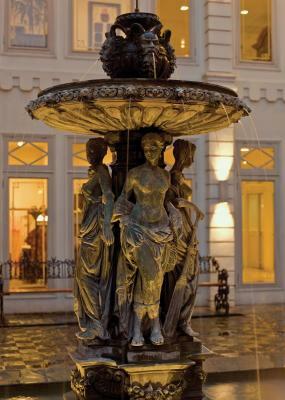 The hotel was built in the early of 20th century, precisely in 1918. Lofty ceilings, large pillars, and intricate ornaments are among the distinctive traits of the period. 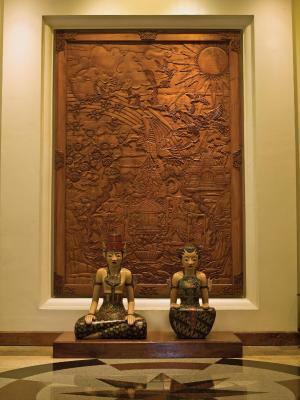 Elegantly situated in the heart of Javanese culture, the whole setting of the hotel encapsulates the essence of Indische Architecture that is enriched with traditional decorative features. 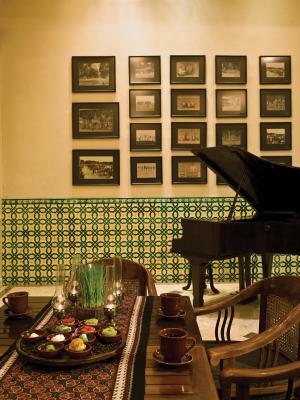 The ambiance of the hotel enables to celebrate memory of glorious past without losing the beauty of contemporary living. Hotel surroundings – This neighborhood is a great choice for travelers interested in food shopping, shopping and temples – Check location Great location - show map Guests loved walking around the neighborhood! 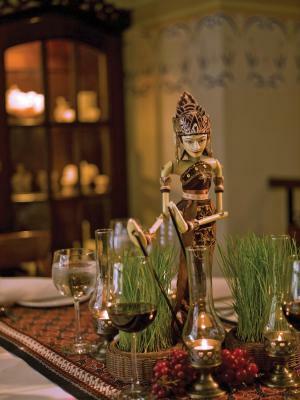 House Rules The Phoenix Hotel Yogyakarta - MGallery by Sofitel takes special requests – add in the next step! The Phoenix Hotel Yogyakarta - MGallery by Sofitel accepts these cards and reserves the right to temporarily hold an amount prior to arrival. The hotel is so unique. We stayed at the front building, which is a bit outdated, but everything was good. They have a second building in the back, maybe it is a newer building. The Indonesian food was poor (except at breakfast) but the western food was excellent. There was very little storage space in the room. It has been our second time staying at the Phoenix. My whole family enjoyed the entire stay at this beautiful hotel. The staff was exceptionally friendly and helpful. Although it is a very old property its is well maintained and very clean. Amazing stay from the moment we arrived. We were welcomed into the living room and given welcome drinks and traditional sweets. 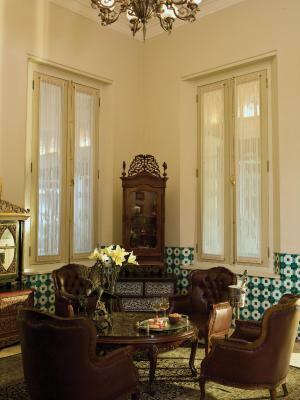 Our room was comfortable, lovely facilities and friendly attentive staff. We really enjoyed the pool, sauna and gym. 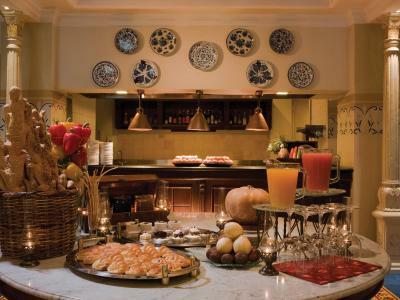 Breakfast was great, we had buffet dinner one evening which was delicious and we visited the bar both nights for their happy hour. They tried to reserve the SPA slot only for the customers staying rather than checking out. We were "de-prioritized" once the staff knew that we were checking out the other day. But we managed to get a slot at the end though the time is not ideal. The service in the restaurant was excellent. The waitress are responsive and attentive to details. The front desk staff were also very nice. As I like the snack they provided a lot, I asked if they sell the snack which I can buy some home. The staff offered me a little box as a farewell gift. It made my day :) The SPA facility is good price to value. Room is a bit dated. 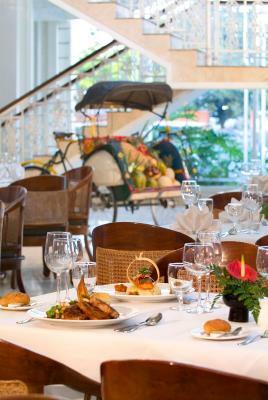 Good buffet breakfast, large public area with traditional decos. The bathroom is a little bit old, shower was slightly difficult to operate. Some rooms are close to a mosque and you can wake up at 5 am because minarets singing, but also I don't know if you can really avoid it in Indonesia. 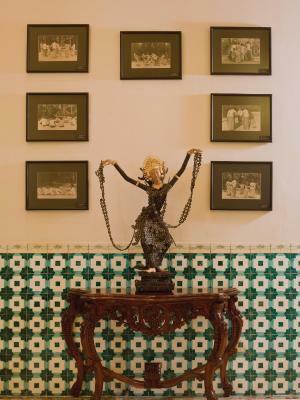 Very cute Peranakan style hotel, lovely little details. Service is great!